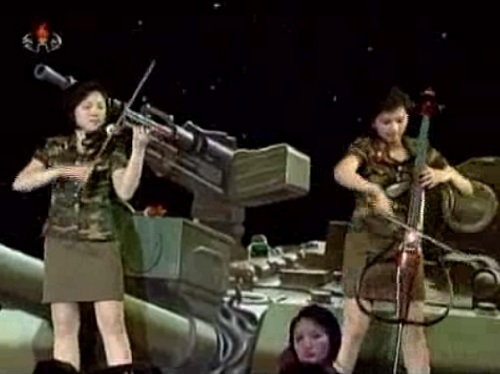 Via James Pearson of NKNews.org and koreabang.com: North Korean TV is currently broadcasting a concert of Moranbang Band in army uniforms fiddling by a tank. Happy Labour Day! Too fun not to share.